Wait. Target sells yarn? Yes, yes they do! 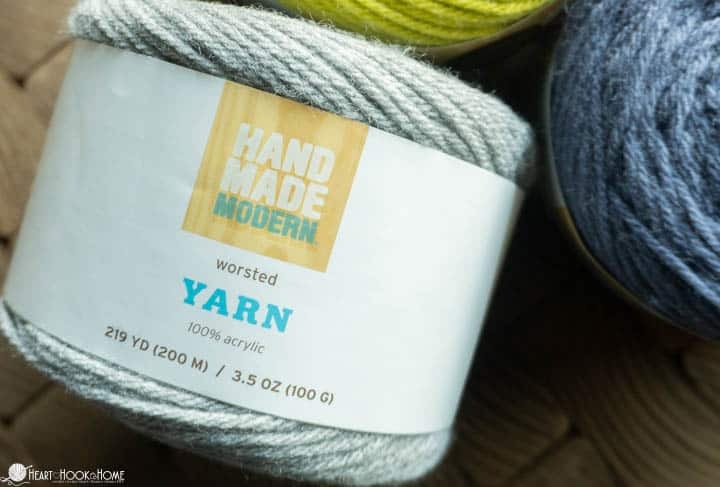 Target is offering a new yarn from the Hand Made Modern line; a whole new line of craft related products, and I got my hands on some so I could tell you all about it. 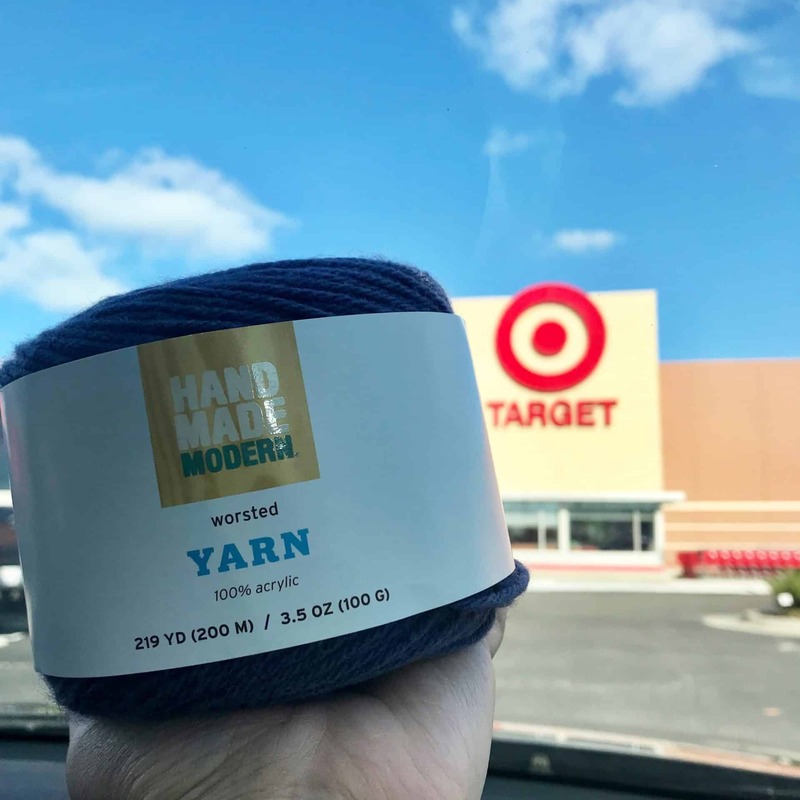 When I saw a post in the Heart Hook Home Crochet Community about Target’s new yarn, I knew I had to get in there and check it out for myself. Before heading to the store, I did a search on the Target website to check that they did, in fact, have this new yarn in stock. I ended up bringing home three solid cakes and one multi-colored cake. 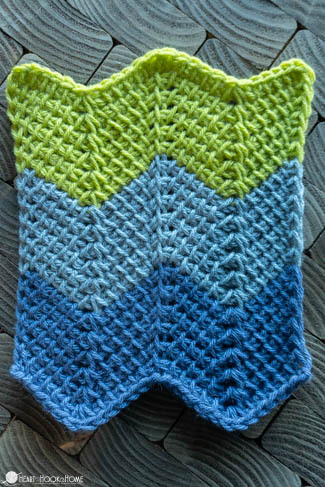 Since then I have finished and washed a small crocheted piece – 28 stitches wide and 18 rows tall of Tunisian Chevron. Now that I have crocheted with the yarn, washed it, and dried it, I am ready to provide a full, independent review. Overall I give this yarn a 3.5 out of 5 stars. Let’s learn all about Target’s new yarn! 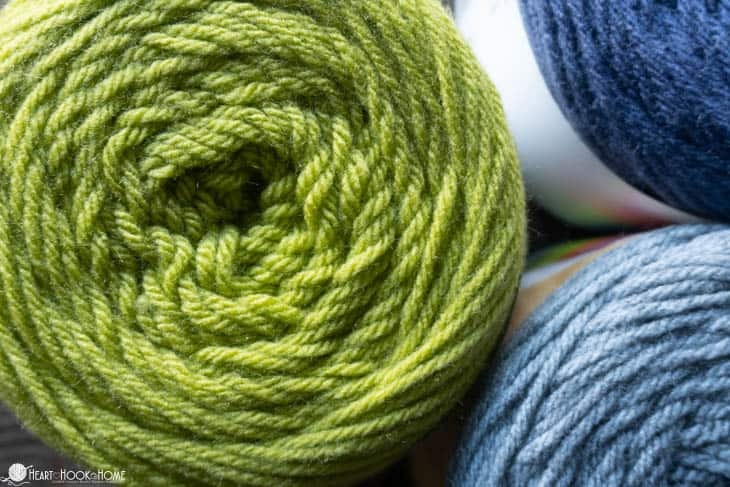 Hand Made Modern yarn is 100% acrylic and available in some truly beautiful colors. I chose the Mouse, Lichen, and Mineral colorways. For the multi-colored cake my son picked out the Rainforest colorway. 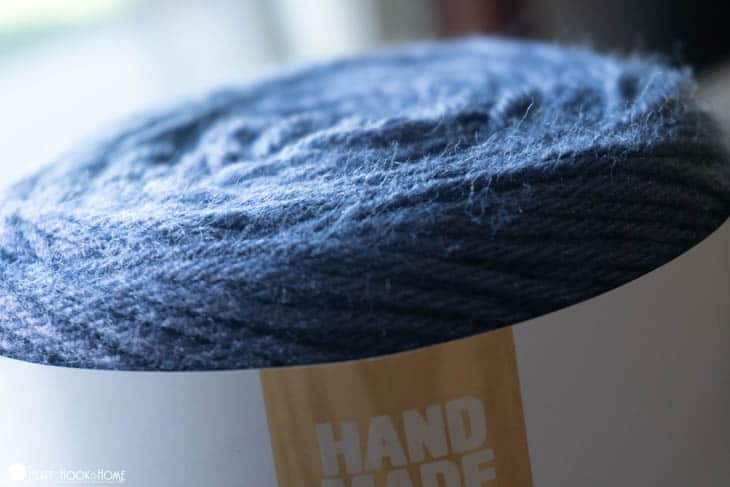 This yarn calls for a 5mm crochet hook or knitting needles. In the solid colored cakes there are 219 yards (200 meters) and 3.5 oz (100 g). The multi-colored cakes have 180 yards (165 meters) and 3.5 oz (100 g). To me this feels like a true worsted weight/medium/size 4/Aran yarn. This yarn is soft in my opinion, and it was nice to work with. I have seen several comments in the Facebook group mentioning that it is not soft, or that it feels like a cotton. I did not find it to be rough or scratchy, and after washing it did soften. 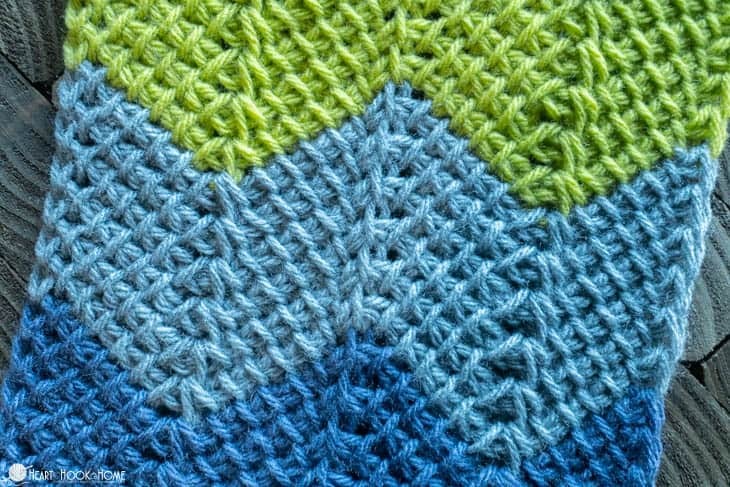 I did notice a spot in the multi-colored cake where the yarn was thick-and-thin, but I’ve encountered that with nearly every other brand I’ve crocheted with at one point or another as well. Keeping that in mind, I find the value to be a bit lacking. When I first touched this yarn, I worried about it pilling. It seems to have little fuzzies that could easily form a ball when washed and dried. Out of curiosity, I washed and dried my piece so that I could see if any pilling occurred in the first wash, or if it became super fuzzy – potentially pilling in the future. Here are my before and after washing and drying photos. I think If I needed a specific color I would use this yarn again. It was nice to work with, washed up nice and soft, and did not split. For the value, I will stick with other brands, but overall I am pleased and would give 3.5 stars out of 5. 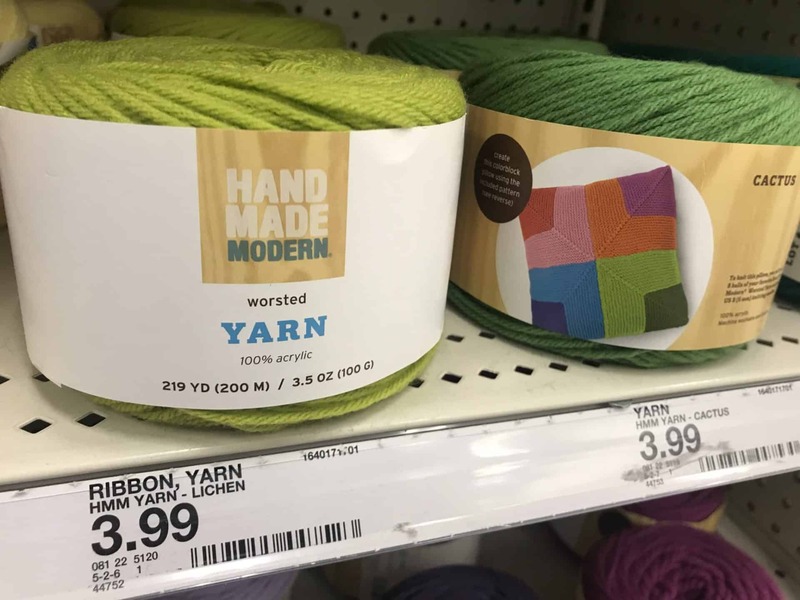 If/when you try this new line of Target yarn, let me know what you think! Is this yarn at Sunset Blvd Lexington SC 29072? Thanks for that awesome review! 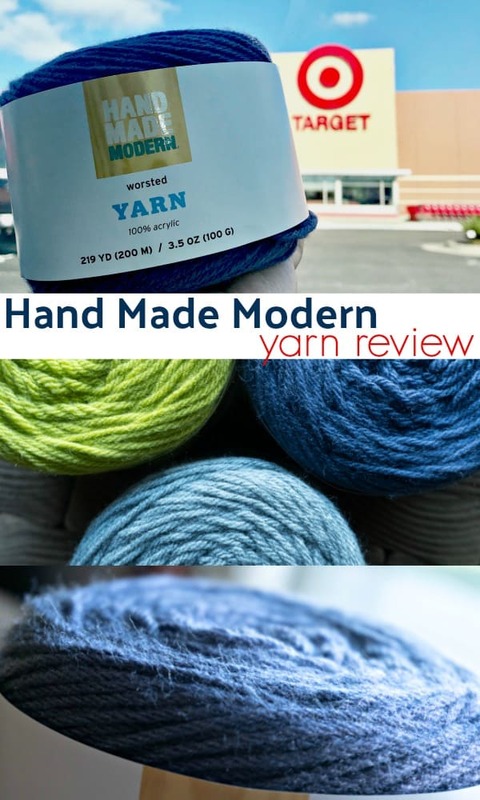 It certainly helps to have such a thorough review when you are considering the purchase a yarn that is brand new to the market. This way you know ahead of time exactly what you're getting. 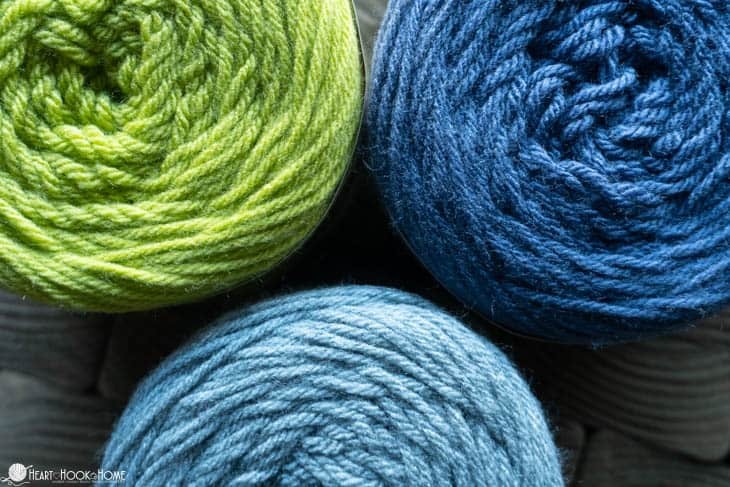 If they have something you've been looking for in a specific color, at least you know ahead of time the specifics of what you're getting into as far as how the yarn feels, how it is to work with, how it washes up and the effect on your costs. 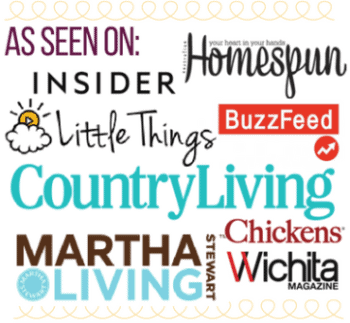 Your work here, Ashlea, is greatly appreciated! 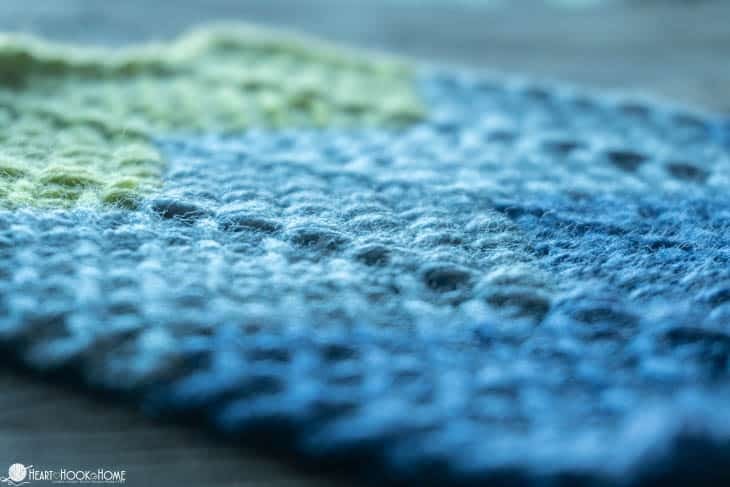 Not a fan of acrylic, but I love Caron Simply Soft which I would give 5 stars to for quality and value. Thanks so much for posting this. 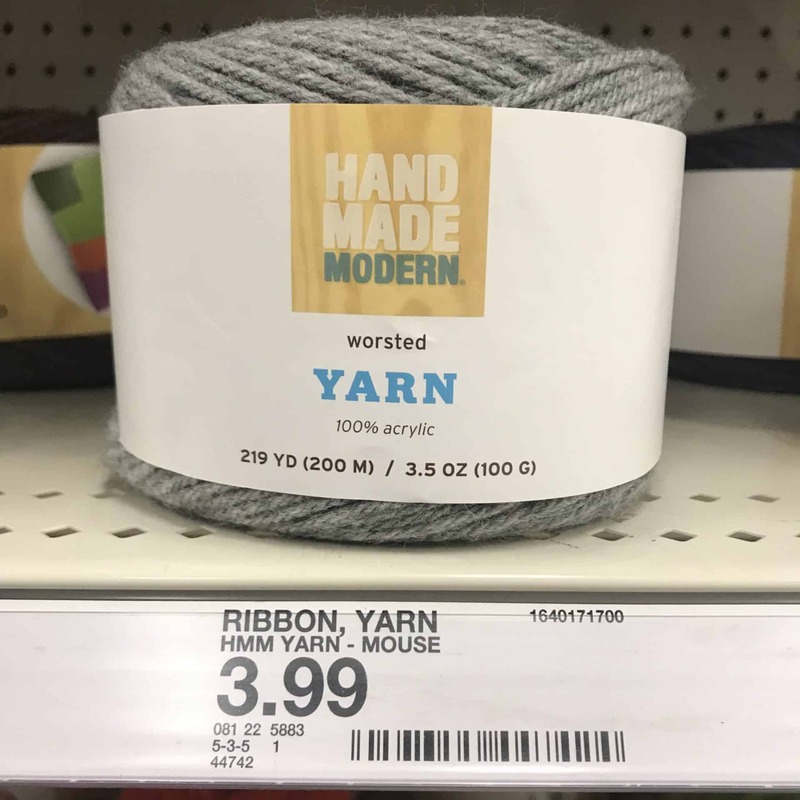 I've been wondering for a long time when Target was going to get with the program and start carrying yarn. I hope this is just the beginning and they will start expanding the options they carry. 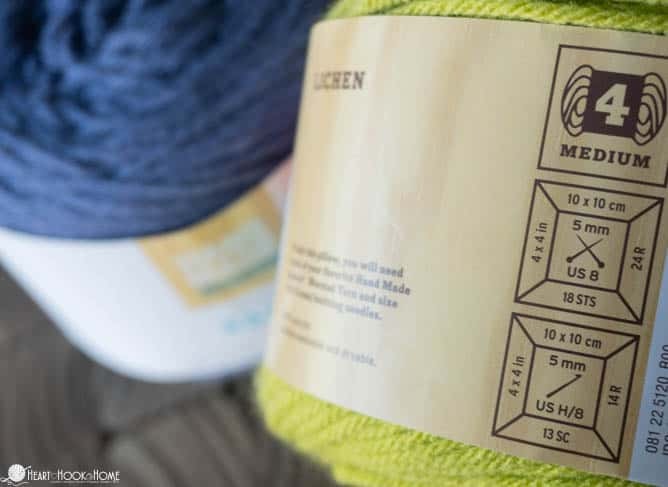 Hopefully they will respond to feedback from customers if this yarn is not up to their customers expectations. Where is it made? China, USA, or turkey? On my label, it says "Origin: India"
Was interested till l saw it was plastic yarn. 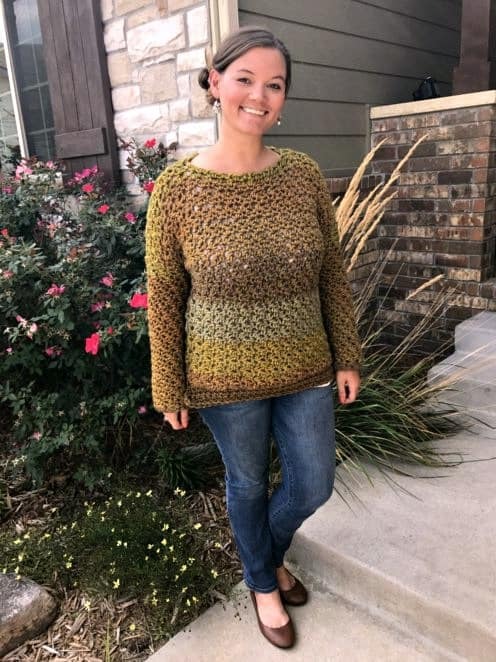 Thank you so much Ashlea for checking out this yarn and giving us a full report! I appreciate it very much!